This part of the Preamble naturally flows out of the out of the first two elements listed in it. 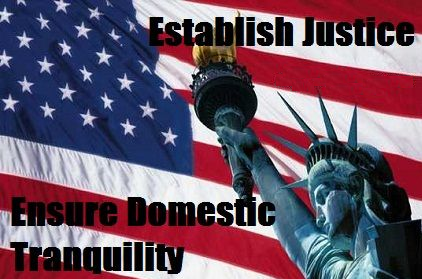 As was pointed out two essays ago (The Preamble – Part III: To Form a More Perfect Union), there wasn’t much domestic tranquility (i.e., peaceful existence) between the various states and that was a motive to create “a more perfect union.” Out of this “more perfect union” came the establishment of justice between the states, and eventually all of their citizens. Without justice (i.e., fair and equal treatment) there can be no tranquility. What parent has not had to deal with one of their children protesting his/her treatment and acting rebelliously because in comparison to the treatment of a sibling they felt they were not being treated the same (i.e., justly)? When that happens, there is no domestic tranquility! When Freddie Brown was killed in Ferguson, Missouri (and as testimony later indicated, for just cause), citizens in that city jumped to conclusion that it was not justified and took to the streets proclaiming “No justice, no peace”, and anarchy ensured there for several nights. Our national government today has greatly exceeded its constitutional authority and in doing so we see the result – a disintegration of tranquility within our society. President Obama and his Marxist party, the Democrats, constantly harped on (and continue to harp on) the need to “spread the wealth” among the citizenry, which means government taking from those who earn and giving it to those who did not. Is that fair? Is that treating everyone with justice? No, so is it any wonder that it is often spoken of as “class warfare”? That is hardly a term applicable to a society that is experiencing domestic tranquility. In my 65 years on this earth I have not seen this kind of discord among Americans since the turmoil of the civil rights era of the late 1950s’ and ‘60s’, and it is not by accident. The policies and rhetoric of the previous administration and its party has sought – and succeeded to a degree – of creating a disunity among us, and that has led to this explosion of feelings of injustice, both of which is destroying what should be a tranquil existence among a free people governed by a limited government that has left us alone to enjoy the blessings that are provided in lives lived in liberty. 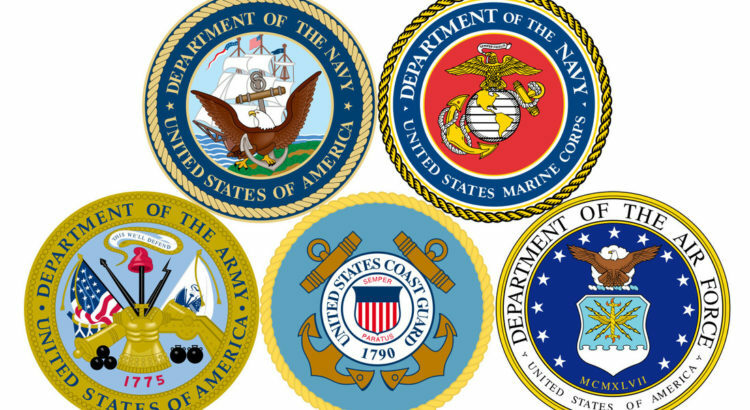 The Preamble stipulates that the purpose for forming this more perfect union was to insure tranquility among the citizens of the various states, or in other words, to maintain peace among the citizenry. How was the government to accomplish this? By a just application of the law, which the Constitution following the Preamble, is to be supreme. If government would adhere to the limits placed upon it by the Constitution, it would go a long way towards insuring tranquility within our society. What is “justice”, and how is it to be “established”? Simply put, justice is where everyone in a society is treated fairly as equals. When this is not the case we often speak of the “scales of justice” being weighted in favor of one party over another, meaning that the scales have been perverted and justice destroyed. But how is justice “established”? What was the import of listing it in the Preamble to the Constitution and placing it immediately following the purpose of forming “a more perfect union”? As I pointed out in last week’s essay (The Preamble – Part III: “a more perfect union”), there was a breakdown in justice among the thirteen states; there was no “fairness” among their interaction with one another and between themselves and other nations. The Articles of Confederation were inadequate in righting this lack of justice and the consistency of it among the states, and so there was the need for the creating of “a more perfect union” via this new Constitution. Returning to the second question with which I began this essay, just how is this Constitution to see that justice is established? The answer begins with the next to last article which proclaims that “This Constitution,…shall be the supreme Law of the Land.” But, you may be asking, what has being the “supreme Law of the Land” have to do with establishing justice? In his outstanding treatise The Law, Frederic Bastiat, towards the end, raises the question “What is law?”, to which he answered “Law is common force organized to prevent injustice; ̶ in short, Law is Justice.” In fact, no less than seven times in the closing of his treatise, Bastiat states that “law is justice.” Note his definition of law – “common force organized”. Such force is why people form societies and establish governments, handing over to it (temporarily, until government begins to abuse its power) the authority to enforce an organized application of law in order to preserve societal order and protect the lives, liberty and property of all. In other words, to ensure that everyone is treated fairly.